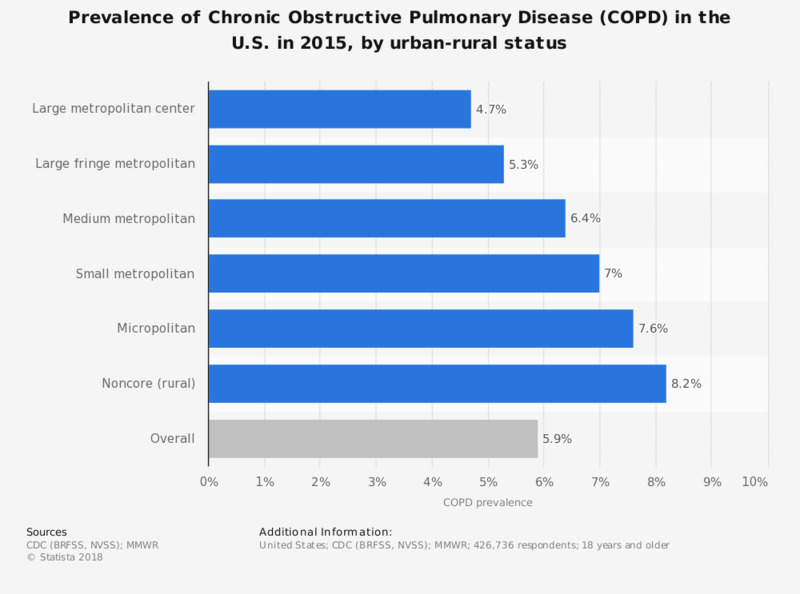 This statistic shows the prevalence of Chronic Obstructive Pulmonary Disease (COPD) in the U.S. in 2015, by urban-rural status. As of that year, around seven percent of adults in small metropolitan counties suffered from COPD. Statistics on "Chronic Obstructive Pulmonary Disease (COPD) in the U.S. "
In your town are there one or more cafes?